Alex Krupa. Casey Rodrigue. Matt Lloyd. Brad Hartong. Logan Kaletha. They all have one thing in common. They all attended junior college before arriving in Bloomington. ‘Juco’ transfers are an important part of putting together a D1 college baseball roster. 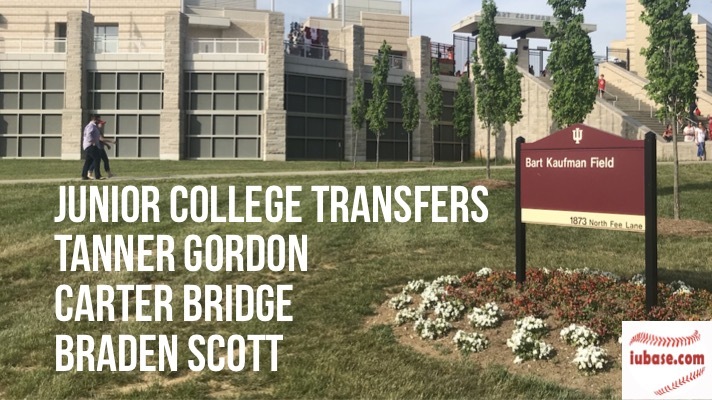 Hoosier Baseball has definitely benefited from some excellent Junior College transfers honing their skills elsewhere, and then showing them off at The Bart. Three Juco transfers will be starting class at IU in a few weeks. Fall Ball will be here before we know it.